Railway freight is quickly becoming a transportation option for European importers. Starting from virtually nothing in 2013, rail freight is now available to many destinations in Europe – including the UK, Germany, Spain and Italy. It’s branded as the perfect middle way between sea and air freight, and it has massive potential. Imagine getting your products delivered in less than half the time it takes, compared to sea freight. And, at a cost that is way below what you’d pay for economy air freight. The good news is that this is already available. When does railway freight make sense? Which cities in China are connected to the railway network? To which destinations is railway freight available? How long does it take to deliver goods from China to Europe, by rail? What is the rail freight cost? Can I get both LCL and FCL cargo delivered by rail? Railway freight is supposed to be some sort of middle way between ocean and air freight. It’s faster than sea freight, yet more expensive. It’s not quite as fast as air freight, but significantly cheaper. And, it can also be argued that the environmental impact is lower. Then again, that of course depends on how the energy is generated. Last, but not least, railway freight from China is only available for Europe. In the future, possibly as part of the belt and road plan, it’s highly likely that we’ll see railway freight made available for shipments to the rest of continental Asia. China has the world’s largest railway network. Suppliers all over the country can book railway transportation to their customers. Yiwu, in China’s eastern Zhejiang province, has been marketed as a railway hub for cargo transported to and from Europe. Thus, a supplier in Shenzhen or Xiamen, can get their products delivered to Yiwu, for further transportation to destinations in Europe. However, the question is if railway transportation remains cost effective, given the extended inland transportation. Especially when considering that most suppliers in China are based in the coastal regions, with an abundance of sea port facilities. Just keep in mind that most forwarders in China don’t offer railway transportation as an option. Hence, you will need to find a forwarder that does it. As mentioned, China railway freight is so far only available in Europe. By the time you read this, that may be extended to other destinations in Asia. At some point in the 2020s, there will be a high speed rail line from China, directly to Bangkok in Thailand. 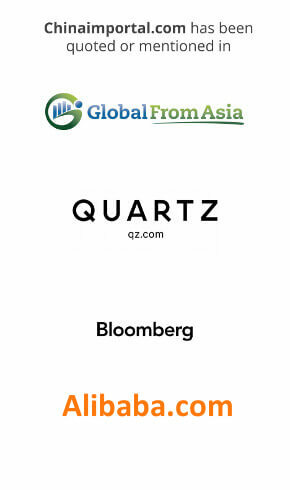 From here, Chinese products can be distributed in massive quantities to all ASEAN nations. Possibly even to South Asia. Any container that arrives in the EU can of course be forwarded anywhere within the union. That said, I doubt that it’s cost effective to send by railway to, for example, Germany and then forward it to Scandinavia, or other regions outside central and western Europe. Inland transportation is relatively expensive in the EU, and the whole selling point of railway freight is that it’s cheaper than air freight. The delivery time is roughly 10 days. Hence, it’ll save you around 20 days, compared to sea freight from China. Compared to air freight, you’ll save 3 to 5 days. That being said, railway transportation is cheaper than air freight. At least when it comes to destinations in continental Europe. Currently, it’s around half the price of air freight. That is quite considerable, especially when shipping high volume goods, such as textiles. Further, volumetric charges are not applied either, which can save thousands of dollars for importers. I also expect rail freight charges to come down, as the volume increase in the coming years. Keep in mind that this is still very new. Railway freight was practically non-existent, as late as 2013. Yes, the process is very similar to how sea freight works. Delivery is based on the same incoterms, and the cargo is loaded either as LCL (Less than Container Load) or FCL (Full Container Load). In the future, it’s likely that rail freight will become a cost effective choice for shipping small volumes from China. Especially if they can find ways to reduce the port charges, which tend to be higher than the freight cost itself. Intercontinental rail freight is still very new. So new, in fact, that it’s not entirely clear what documents the forwarder, supplier and importer must provide. Further, the fact that goods must pass through China, Russia and then to the European Union, further complicates things. Recently, I received an email from a European importer, that tried and failed, to get her products delivered by railway. Apparently, the China railway authorities claimed that the products she planned to import were categorized as a dangerous substance. In the end, she booked shipping by sea. But only after losing precious time dealing with the railway authorities. The problem today is that the forwarders and the authorities are still at a stage where they are not entirely confident in how to deal with documentation and regulations. A few months after this article was originally published, I ran into one of the world’s leading experters in train freight from China. 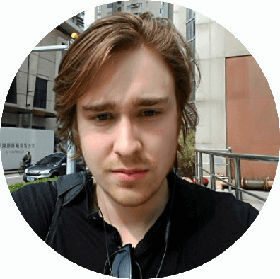 Oscar Lundgren is based in Hong Kong, and works for TKL Logistics, a Swedish forwarder that is one of the leading firms in train freight. 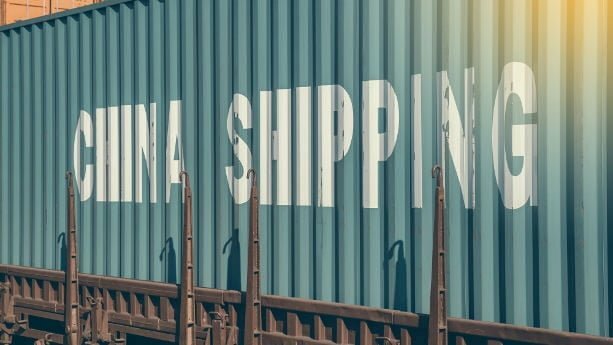 What is the cost of train freight from China? Rail freight is cheaper than air freight, and faster than sea freight. Sea freight is around $0.2 per kg from the supplier in China, delivered to Europe. How long does it take to ship goods from a factory in Shenzhen to the customer in Europe? The average delivery time is around 23 days, from the factory in China to the customer. There are different routes on the train, different provinces have different solutions and different lead times. Today, 22 provinces in China offer train freight. Everyone has different solutions, some go to Poland, Germany. Or lately, even to Finland. Do the importer or factory in China need to provide any special documents? It is required that the supplier has an export license valid for international train freight. Some suppliers have it, most don’t have it. TKL helps solve this if required. You also need to have invoice and packing list on the goods, but this works in the same way as by sea and air. As far as I understand, TKL shipped all goods to a terminal in Zhengzhou, in central China. How are the goods then forwarded from Zhengzhou to Europe? That’s right, we forward most of the shipments to Zhengzhou in Henan. There are several reasons for this. Zhengzhou is the leading provinces of rail traffic. They have daily departures from China to Europe. If you miss one scheduled vessel, you only need to wait one day for the next one to depart. They have a very good logistics facilities around the train station, which is very necessary. Zhengzhou is also quite central in China. This means that we can collect goods along the entire coastline in China, and collect multiple shipments in the same container. Then the train goes through Western China and then through Kazakhstan, Russia and then Belarus to Poland. Or, through Russia directly to Finland. How do you forward the goods to the final destination, once the train arrives in Europe? The goods can be unloaded, for example in Poland, and forwarded by truck to the final destination. Do I need to pay import duties and VAT in Poland in that case? No, you will pay import duties and VAT in the country of delivery. Thanks to pioneering freight forwarders, such as TKL Logistics, train freight from China to Europe is already a reality. It’s quickly becoming an interesting alternative to slow sea freight, and more expensive air freight. For now, train freight is very limited in terms of volume, compared to air and sea. However, I think this will change in the coming years.